https://1.bp.blogspot.com/-xRvcxtW99n4/VKD15qlfLEI/AAAAAAAAF0A/s41sOKanKqM/s1600/03.jpg Matchwood boston bag Boston bag Daily use and travel dual-use large-capacity Boston bag, this time into the stylish high-end Plaid mixed wool material as the body of the package body, showing a mature urban leisure sense; the width of the upper and lower version makes the appearance more streamlined, excluding the general The Boston bag gives people a clunky impression. https://2.bp.blogspot.com/-QGY_iAZrrgE/VKD16KNuRqI/AAAAAAAAFz4/46LVUm50lEI/s1600/04.jpg https://4.bp.blogspot.com/-vY38OLIayzE/VKD133q-WII/AAAAAAAAFzc/Vw4_0W3NHwY/s1600/01.jpg The bag is equipped with a diagonal strap and a detachable decompression back pad (slip resistant material on the back) for carrying, shoulders, and slanting backs; multiple internal pocket designs with a laptop (up to 13 inches) shockproof Mezzanine, quite suitable for travel/sports/or daily use. The zipper and buckle part are made of metal material to enhance the overall texture and durability. The bottom of the bag body has a design of the monster felt fixed webbing, which can carry heavy clothing, skateboards, cameras Tripods and other large items. https://1.bp.blogspot.com/-AkQYX3wEAB4/VKD14a4qURI/AAAAAAAAFzk/A5nmq8EpJ8w/s1600/013.jpg https://4.bp.blogspot.com/-AZly7ZLNmHY/VKD15b4Y6_I/AAAAAAAAFzs/u1N2hYG2-IM/s1600/014.jpg https://1.bp.blogspot.com/-4yyxVUTO61g/VKD145q9oNI/AAAAAAAAFzo/BKtDHF7Ld0Q/s1600/012.jpg Sell Price: 3080 NTD. 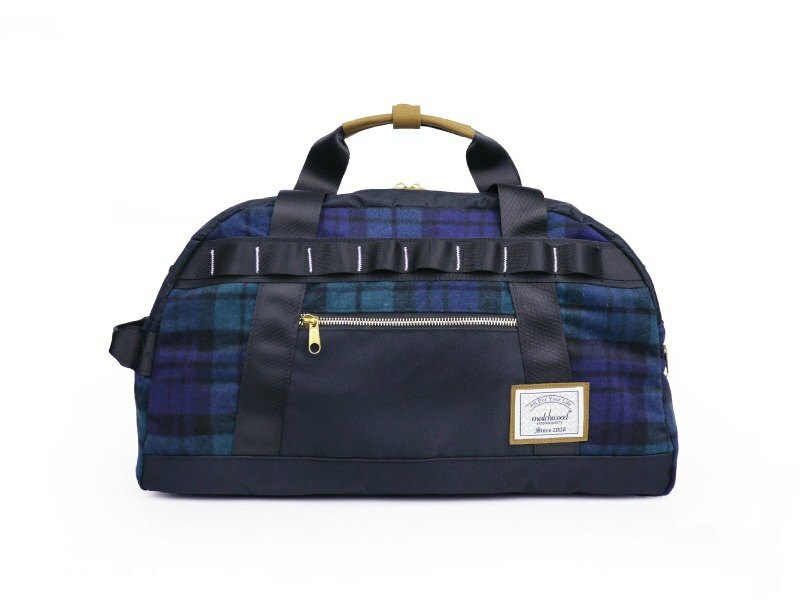 Size: 44(W)x26.5(H)x20(Thickness)cm Color: Wool check 5pit Matchwood Boston Bag Boston Pack Unpacking Share https://5pit.tw/wp-content/uploads/2014/02/IMG_8725-870x418.jpg Since the author's exclusive interview with the owner of Matchwood, Ah Shih, he has had a deeper understanding of their package payments and also experienced a Taiwanese brand who is working hard to maintain high quality and practical products and bring them to Taiwanese consumers. . The Boston Bag Boston bag to introduce this is the product that is put out by Matchwood. The Boston Bag Boston bag actually comes from. There isn't a lot of information on the Internet. There is a saying that this type of package is a college baggage for college students in the United States. It's a kind of bag that you like very much. Can be loaded, plus the appearance is also very good to see, in the university caused a popular trend, and therefore named as Boston Bag. And the most formal Boston Bag Boston bag is designed for travel, so the volume is too large, travel can be loaded with a lot of things, it is also a good match, but if you just want to go shopping, classes and usual use, to back out is not so Practical, Matchwood designed this Boston Bag Boston bag. Matchwood Boston Bag retains the basic Boston bag shape, reduces the size and makes the bag line more streamlined in the details version, suitable for general out use, but also can provide short trips about four days and three nights of use. https://5pit.tw/wp-content/uploads/2014/02/IMG_8745-450x299.jpg ▲ The author chose a camouflage model, and there are all black models. The color part depends on personal preferences. The black is more low-key and the camouflage features more strongly. https://5pit.tw/wp-content/uploads/2014/02/IMG_8746.jpg ▲ There are Matchwood brand skin tags on the front, and if you look closely, you can also find that the skin tag is not only a piece of leather but uses double stitching to strengthen the strength. The white skin mark is printed with a regular jagged background. https://5pit.tw/wp-content/uploads/2014/02/IMG_8747-450x299.jpg ▲ The mezzanine can contain small accessories such as mobile phone, key, business card, lighter, etc. https://5pit.tw/wp-content/uploads/2014/02/IMG_8739-450x299.jpg ▲Back https://5pit.tw/wp-content/uploads/2014/02/IMG_8741-450x299.jpg ▲There is also a sandwich on the side https://5pit.tw/wp-content/uploads/2014/02/IMG_8759-450x299.jpg ▲Double straps have a loop in the middle to facilitate the user's hand https://5pit.tw/wp-content/uploads/2014/02/IMG_8754-450x299.jpg ▲ There is a pretty big sandwich inside. I tried 13 Macbook Air and there was a shockproof cloth in the middle. https://5pit.tw/wp-content/uploads/2014/02/IMG_8755-450x299.jpg https://5pit.tw/wp-content/uploads/2014/02/IMG_8757-450x299.jpg ▲ It is a Boston Bag, even if the volume is still very wide and deep down, into the camera, headphones, mobile power, send a big star? are more than enough. On the other side there are also two inside clip pockets. It is also possible to put small things like coffee bags. https://5pit.tw/wp-content/uploads/2014/02/IMG_8760-450x299.jpg ▲Aside from the hand-held, you can also carry a detachable shoulder strap, which is also a camouflage style. https://5pit.tw/wp-content/uploads/2014/02/IMG_8831-450x299.jpg https://5pit.tw/wp-content/uploads/2014/02/IMG_8832-450x299.jpg https://5pit.tw/wp-content/uploads/2014/02/IMG_8830-450x299.jpg ▲ Matchwood In order to make up for the disadvantage of reducing the size, two more devil felts are designed on the bottom to allow the user to fix the skateboard, heavy coat or camera tripod. In the past when the author went out, the bag must be a backpack, because the capacity is large enough so that I can easily carry the camera, laptop, tablet and some small things, but sometimes wear different, such as: shirt or more formal jacket, At this time, if the same backpack is not suitable, the handbag will be better, so this Matchwood Boston Bag becomes my replacement bag. https://5pit.tw/wp-content/uploads/2014/02/IMG_8732-299x450.jpg ▲ Camouflage Matchwood Boston Bag is a very good match, the basic denim shirt and work pants is very style. Compared with the backpack, there is no burden to go out, and it is more convenient to take things in the bag at any time. https://5pit.tw/wp-content/uploads/2014/02/DSC_0670-298x450.jpg ▲ Pictured above is a picture of participating in the opening ceremony of Panda ! Las Veagas Show. The relationship should be worn more formally, but taking into account the midway needs to work, the backpack is a bit too casual, so Matchwood Boston Bag is quite suitable. https://5pit.tw/wp-content/uploads/2014/02/225-450x337.jpg ▲ If you want to be more formal, it is also very suitable https://5pit.tw/wp-content/uploads/2014/02/DSC_0665-298x450.jpg ▲ This American line carries this Boston Bag for many days, because the capacity is really large, and everything that you need to take out can be fully loaded, and there is even plenty of room. Sometimes it's easy to take it out and it's easy to come up with it. The most important thing is that it doesn't look as thick as a backpack. Before the author actually considered the handy briefcase, although suitable for formal occasions and work, it would be a little out of place to be used when casual. It feels like it is where to go. The Boston Bag does not have this problem, but it also adds some sense of relaxation. After all, the formal occasion is not every day, practical bags are more practical.